Adobe Photoshop Lightroom is a software that can be used by both individuals and professionals. This is a program that allows you to edit photos using different tools. It includes a particularly advanced photo editor that allows you to retouch colours, contrasts and many others. It will also help you organize your photos and create folders to organize them, or by standardizing your photos to find them according to their rating. Adobe Photoshop Lightroom also includes an advanced RAW format management mode. 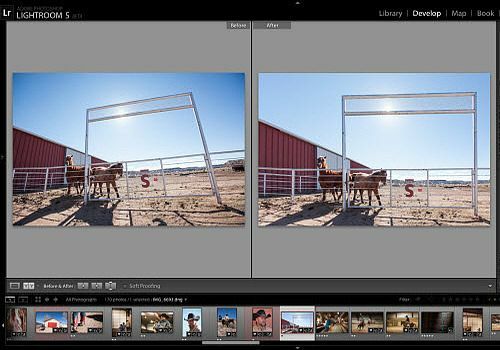 A great partner of Photoshop, Lightroom integrates perfectly with it to become the ultimate photo management tool. Its elegant interface makes it easier to adapt to the use of this sophisticated software. With a few clicks, you will be able to share your work on social networks such as Facebook or Flickr. Edit, manage and edit your photos like a pro with the latest version of PhotoDirector 9 for Mac software. Rich in features, it helps you reduce the noise of your images, adjust the brightness, but also to have a perfect group photo that everyone smiles at. The mainstream version of Adobe's famous photo editing and editing software that will make you an expert in image editing. Ramme is an open source software that allows you to publish photos on your Instagram account from your computer. Autodesk, the specialist in architecture software, offers you a photo editing software that integrates a multitude of options accessible to neophytes.